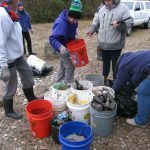 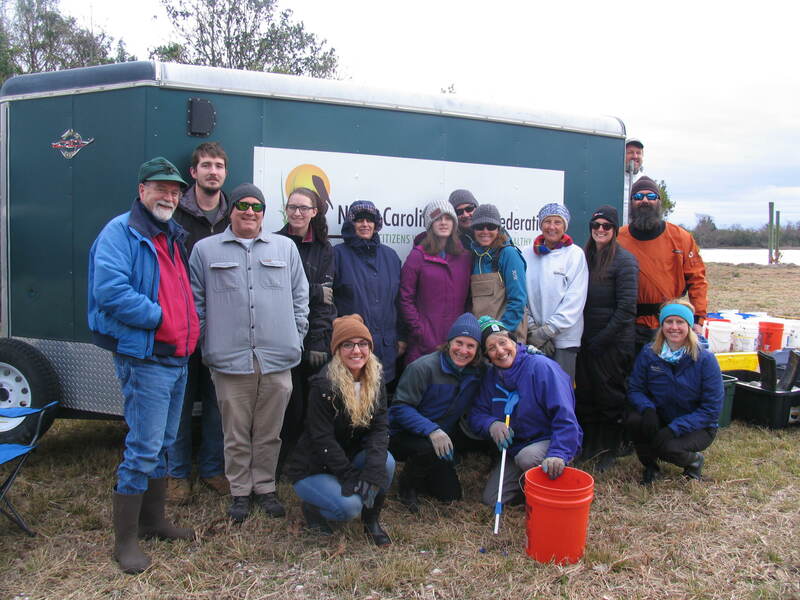 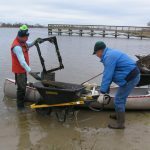 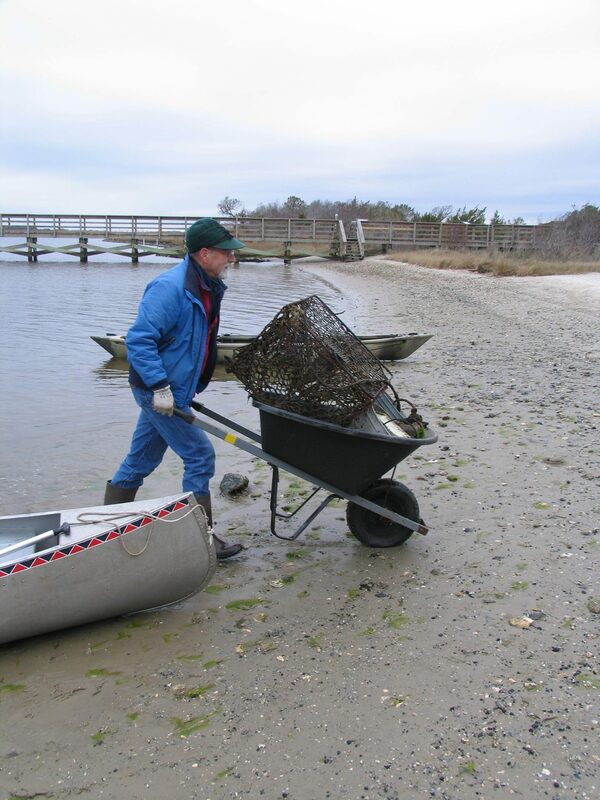 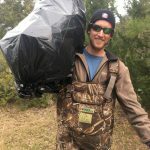 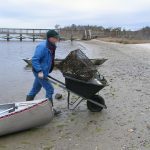 The North Carolina Coastal Federation hosted a series of land based cleanups along the coast this past weekend in conjunction with the kick off of the Lost Fishing Gear Recovery Project, an effort to remove lost crab pots from North Carolina sounds. 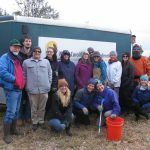 The North Carolina General Assembly appropriated funding to this project to facilitate and continue this statewide project. 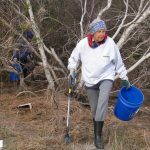 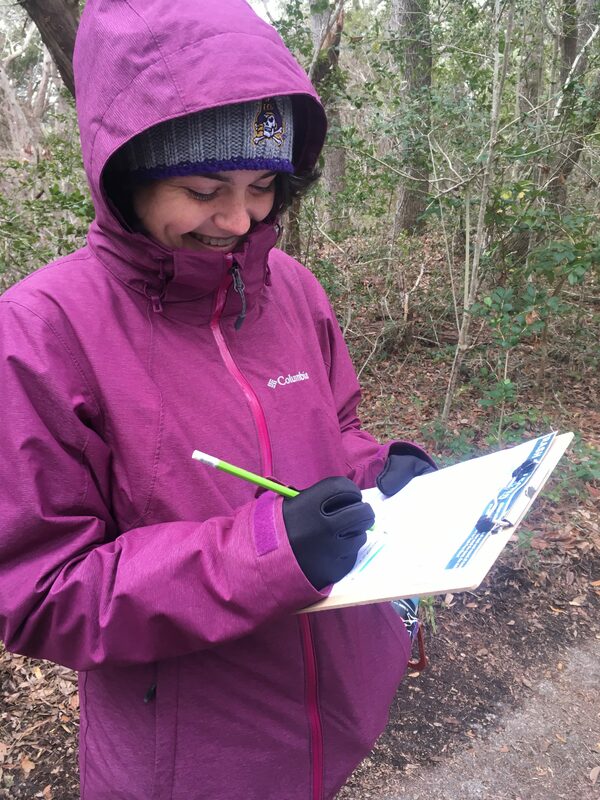 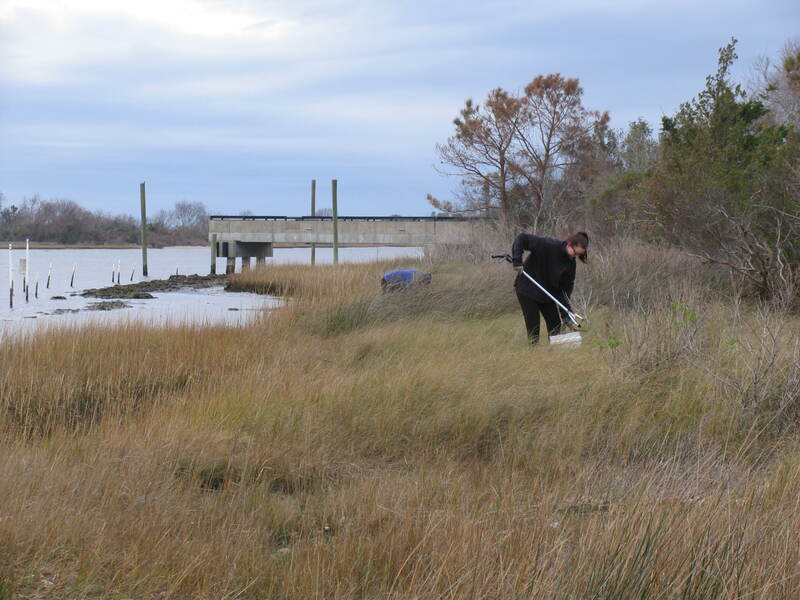 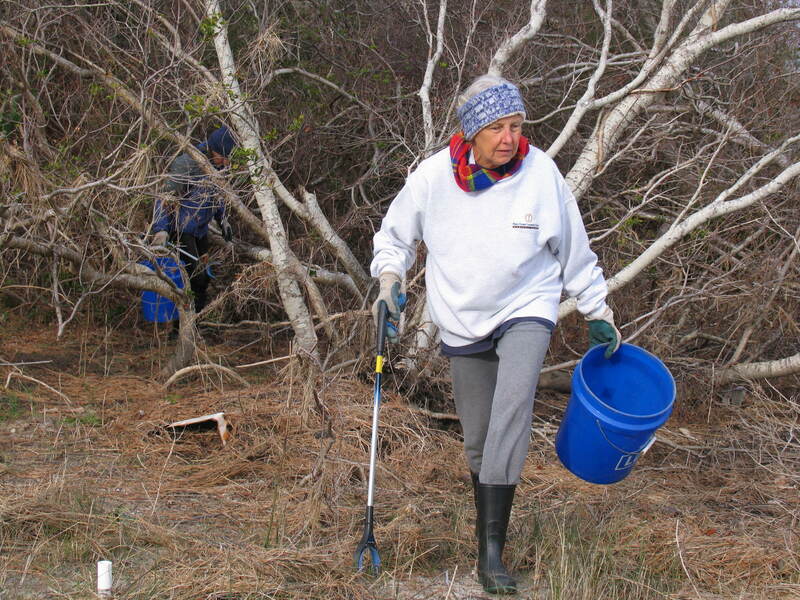 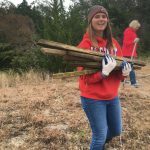 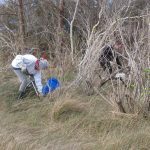 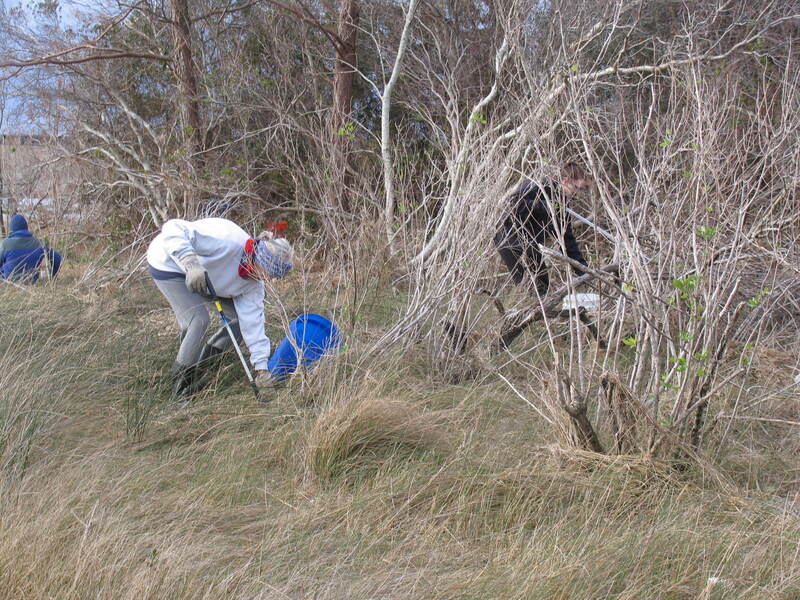 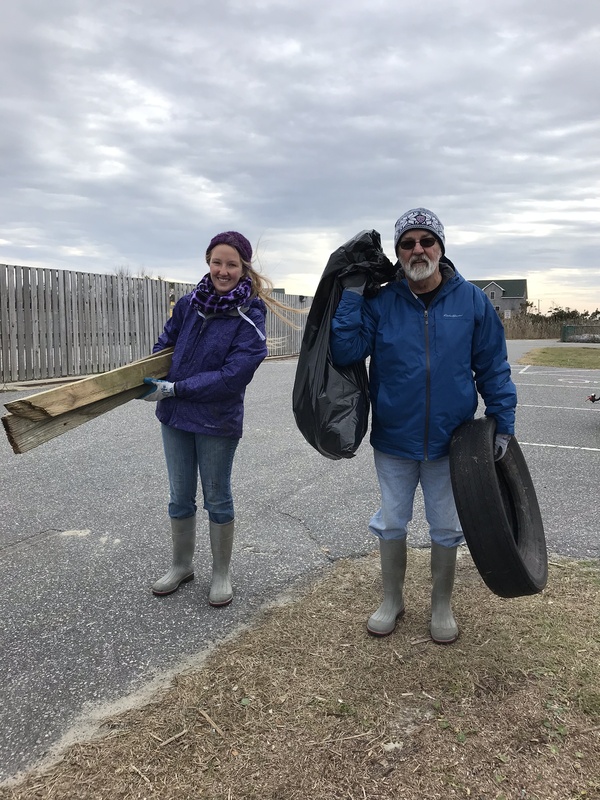 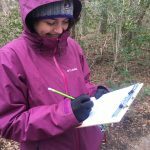 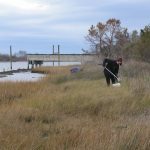 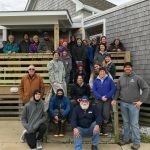 The cleanup continues in January 2019 with both commercial fishers and community volunteers, who served as the backbone for the land based portion in Rodanthe, Atlantic Beach and Holly Ridge on Saturday, Jan. 12. 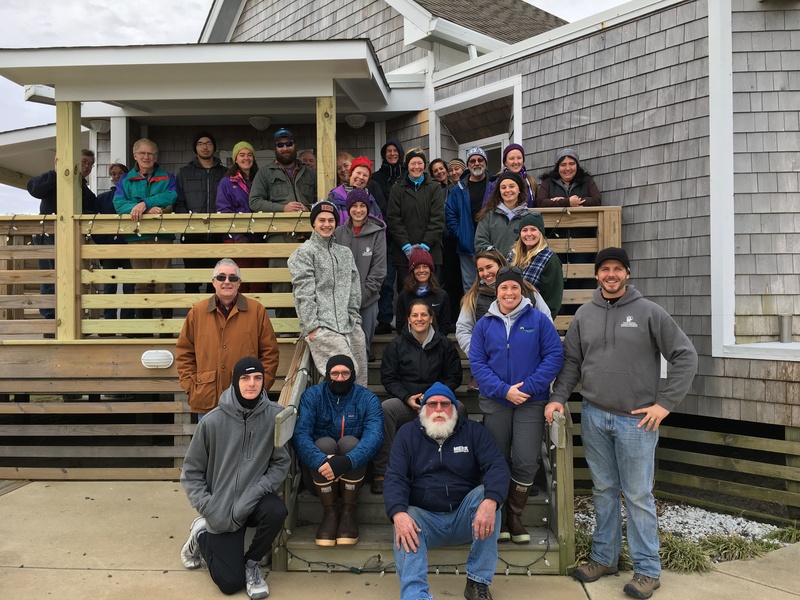 The federation’s northeast office in partnership with Dare County were joined by a group of about 30 volunteers at the Rodanthe Waves Salvo Community Center on Hatteras Island. 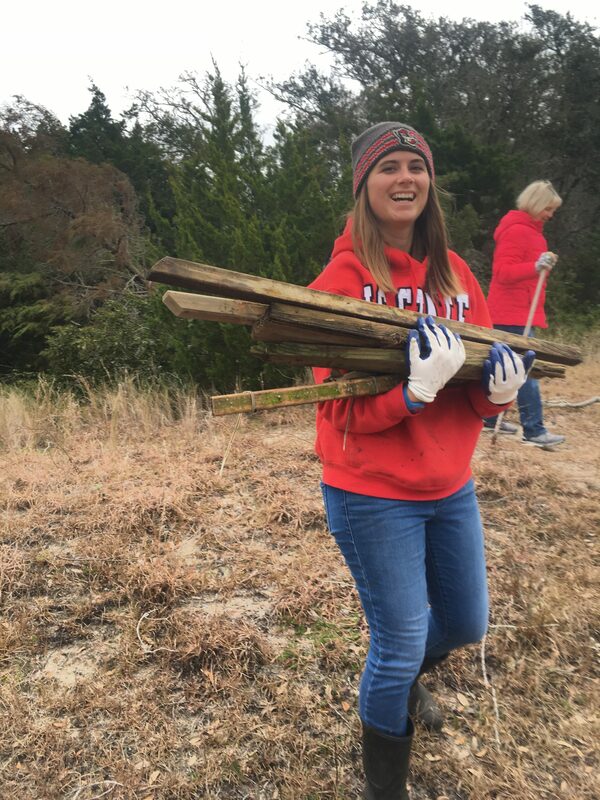 A large portion of debris was pushed onto the site following Hurricane Michael this past fall, which explained the huge amounts of construction materials and treated wood that were found. 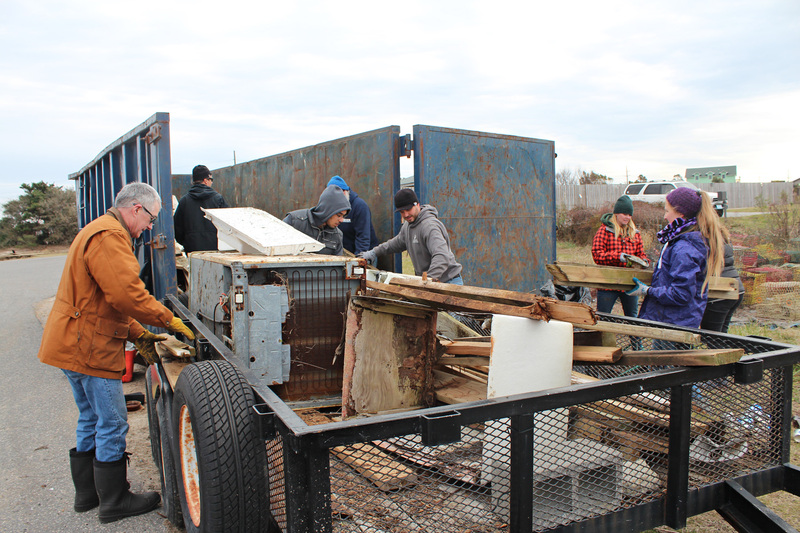 More information on the removal of pressure treated wood materials following a storm event can be found on the federation’s website here. 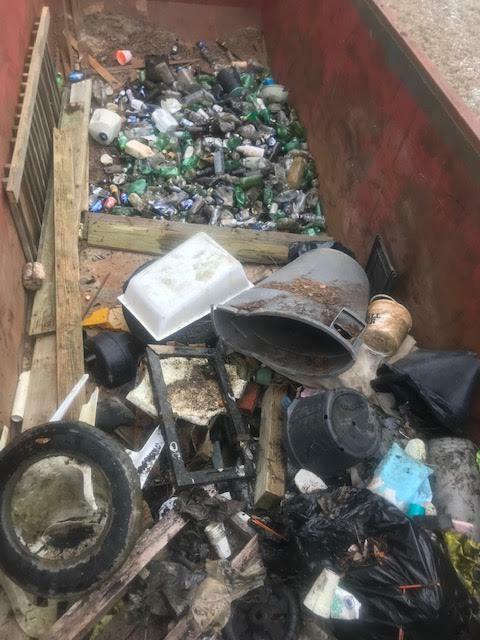 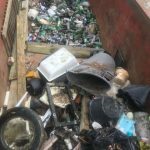 Other debris found included many aluminum cans, plastic beverage bottles, glass bottles, plastic food wrappers and plastic bags. 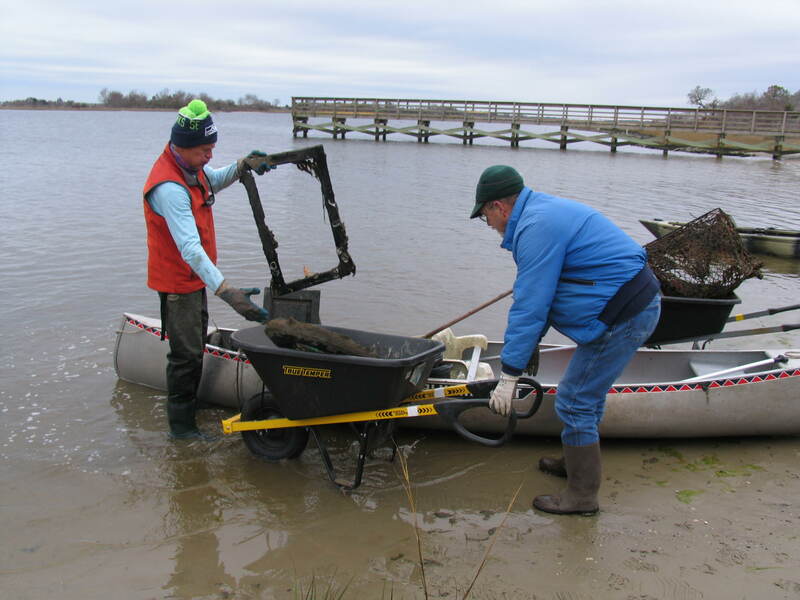 Bigger finds included several tires, a refrigerator and its contents and a toilet that were also removed from the marsh. 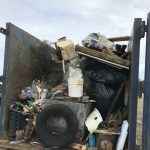 Fishing gear that had been displaced during the storm was also found and attempts were made to return the expensive equipment to their owners. 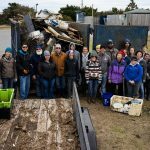 Waves Deli generously provided sandwiches at a discounted rate to re-energize participants after the cleanup. 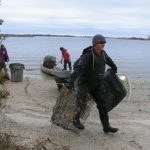 Approximately 3,500 individual pieces of debris were removed from the site, that was tediously tallied by federation staff and volunteers. 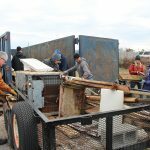 After weighing the contents of the roll off dumpster placed for the event, a total of five tons of debris was removed in just a few hours. 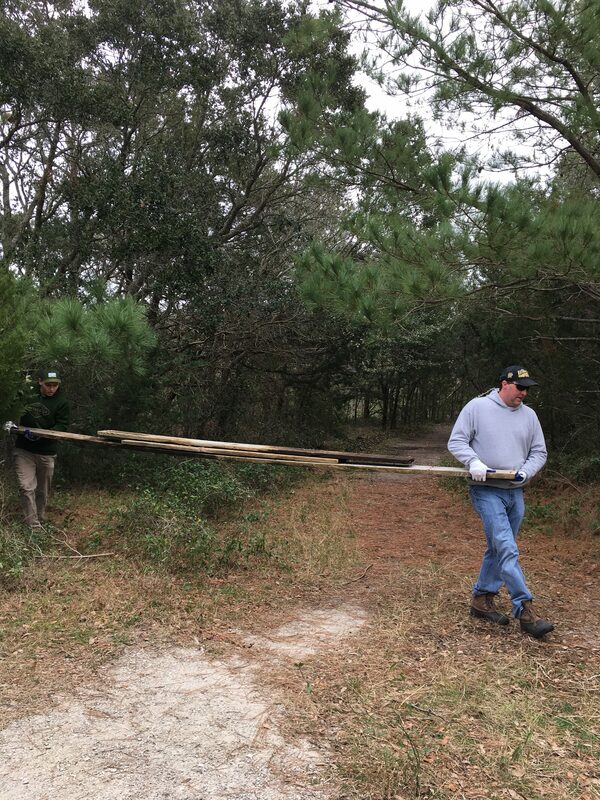 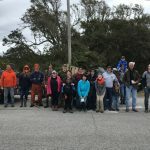 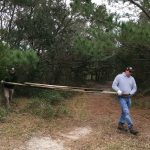 The federation’s central office spent their Saturday cleaning up the area around Hoop Pole Creek in Atlantic Beach with 71 volunteers, including members from the Emerald Isle Parrot Head Club who volunteer at the event every year. 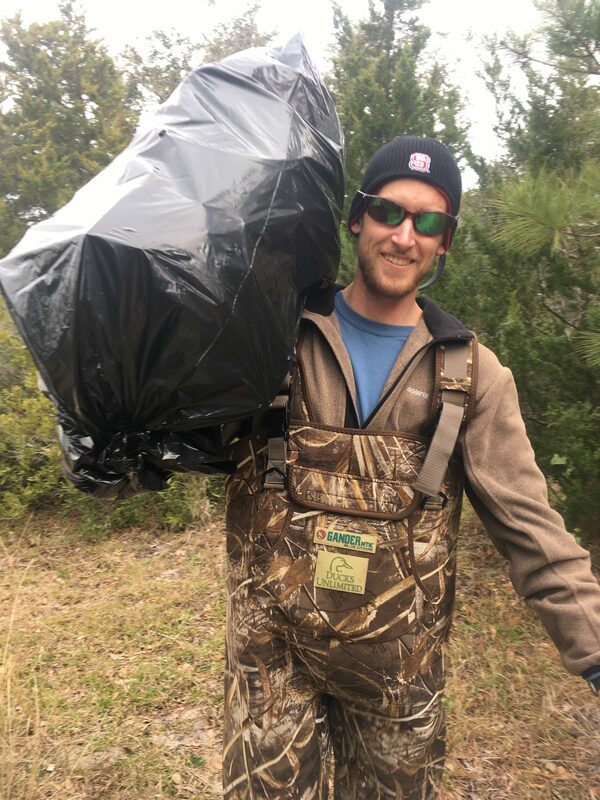 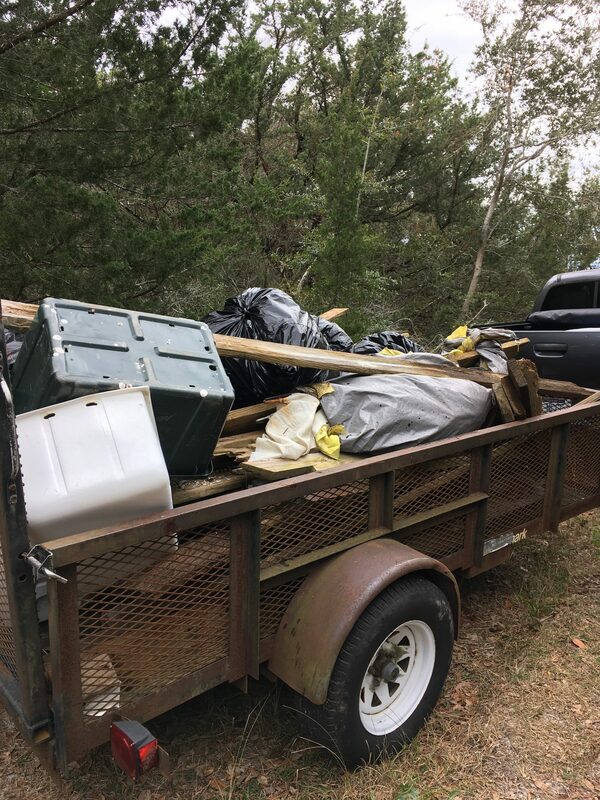 The groups collected 25 contractor bags full of marine debris (about 750 lbs) and an additional 1,500 lbs of large woody debris, mostly from docks that were destroyed by Hurricane Florence. 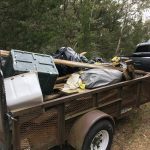 Some of the items found included cigarette butts, plastic bottles, small plastic pieces and Styrofoam pieces, a surprisingly large number of tennis balls, part of a toilet and an air mattress. 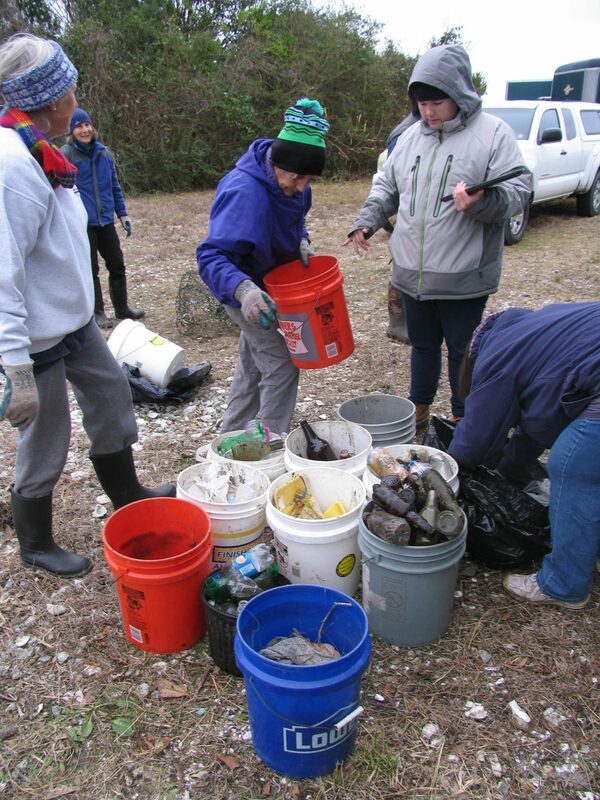 In the federation’s southeast office, 21 volunteers gather at the Morris Landing Clean Water Preserve in Holly Ridge to pick up debris. 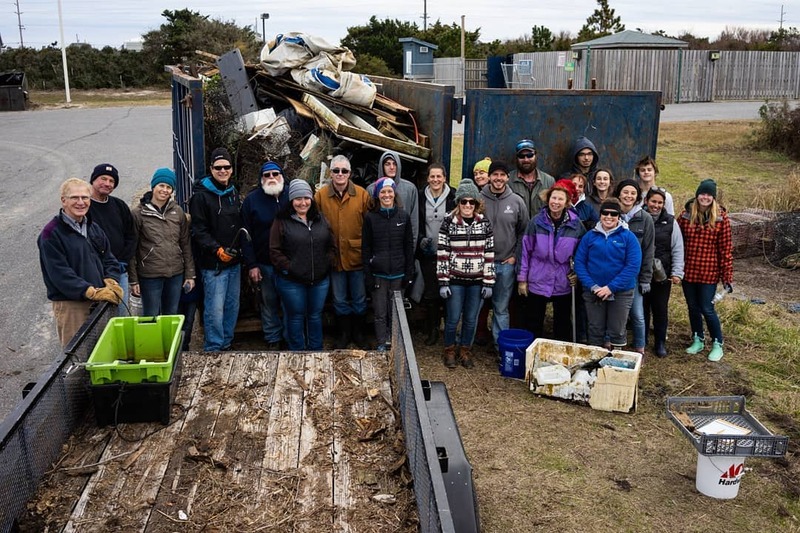 The federation staff and volunteers, along with Keep Onslow Beautiful and the North Carolina Coastal Reserve, collected around 600 lbs of marine debris from the Preserve as well as the Permuda Island Reserve, located across the Intracoastal Waterway from the Morris Landing site. 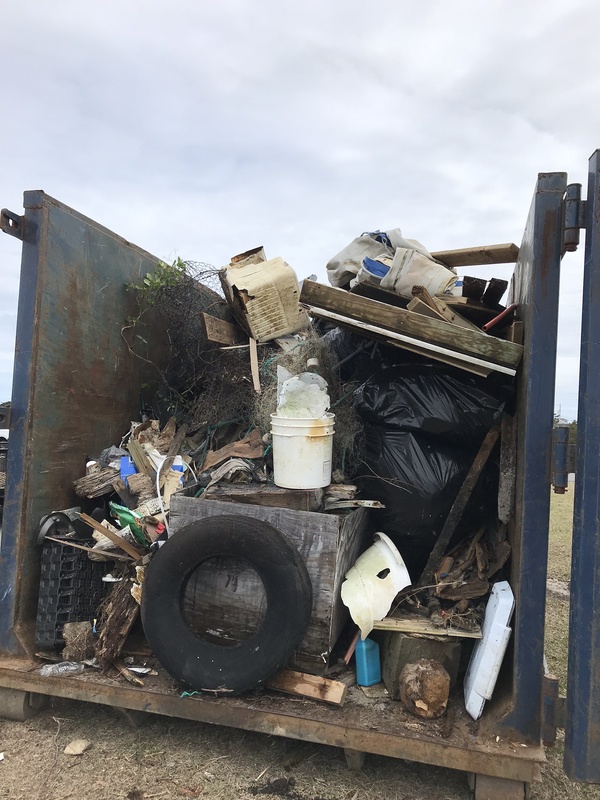 The 600 lbs of debris came from approximately 1,300 items that the group was able to log into the NOAA marine debris tracker. 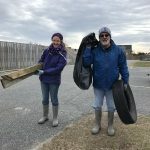 The majority of the items were pieces of pressure treated wood, probably from destroyed docks and buildings, as well as old tires and fishing gear. 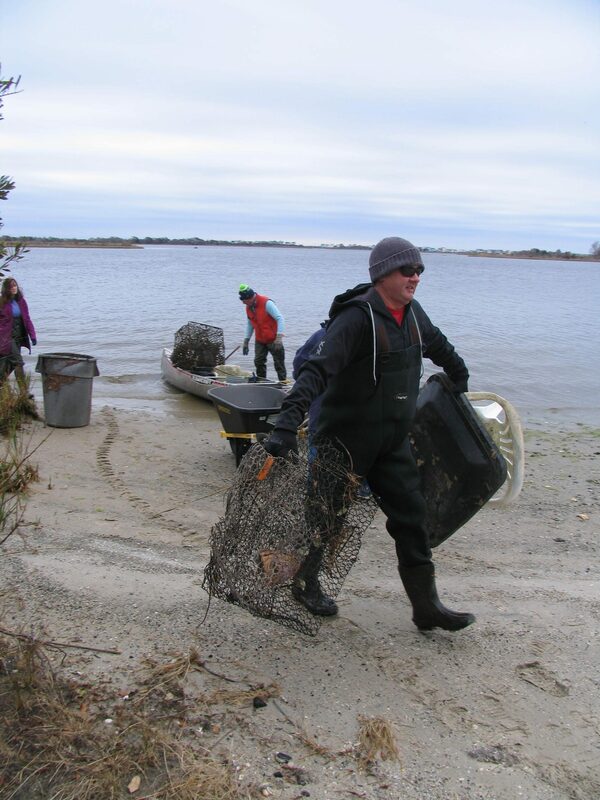 While the group was cleaning up, a pod of dolphins swam by the shore to check out the debris removal progress. 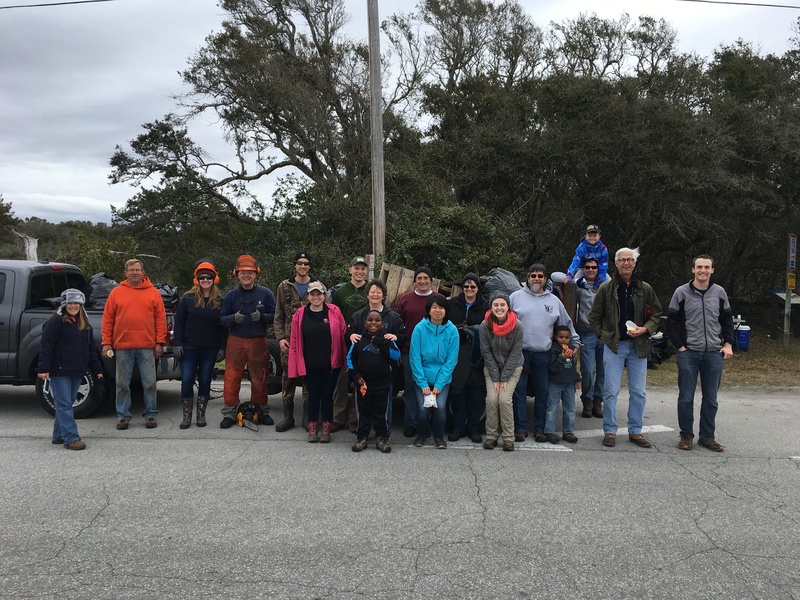 The federation is extremely grateful to all the volunteers that dedicated their time to cleaning up their communities despite the cold weather, it was a great way to start off the new year!